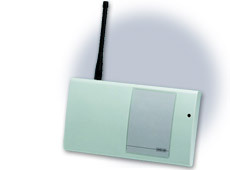 The Fm 4055 is a narrow band, wireless receiver to receive alarm transmissions from the FM4000 series security alarm detectors and transmitters. The FM4000 transmission propagation characteristics within buildings out performs all other UK & European wireless security products currently available. The Fm 4052 plugs straight into a 13A socket and warns of any intrusion. Designed to work with a FM4193, FM4191 or FM4190 Long-range detector. More than one unit may be used with a transmitter if required. Built in Piezo sounder warns of visitors or intruders. Dimensions 82mm wide x 140mm high x 40mm deep. 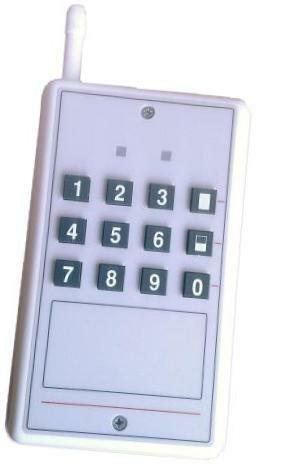 FM 4180XTRA Remote Keypad (with Antenna) (Including Panic Buttons) Long range version capable of 300 Metres Plus Single Zone Receiver Interface Single zone receiver enables any FM4000 series detector or panic button to be interfaced into a wired alarm system. Three programmable clean contact relay outputs for alarm, low battery and tamper. 16 Ohm Speaker, Connects to most alarm panels. Requires audio signal from alarm panel to sound. Ideal for audible notification of alarm. Mains To 12 Volt DC Regulated power supply (500 - 800 Milliamps) standard UK 13A plug-in. Approx 2metres cable. Several other uses (can be used with extension lead if required) 2.1Ah Sealed Lead Acid Standby Battery. Keeps Systems Powered During Mains Power Failure. Special Price Can be connected to any Gateway/Drive /Door detector or any device (intruder/fire panel, freezer, CCTV etc). 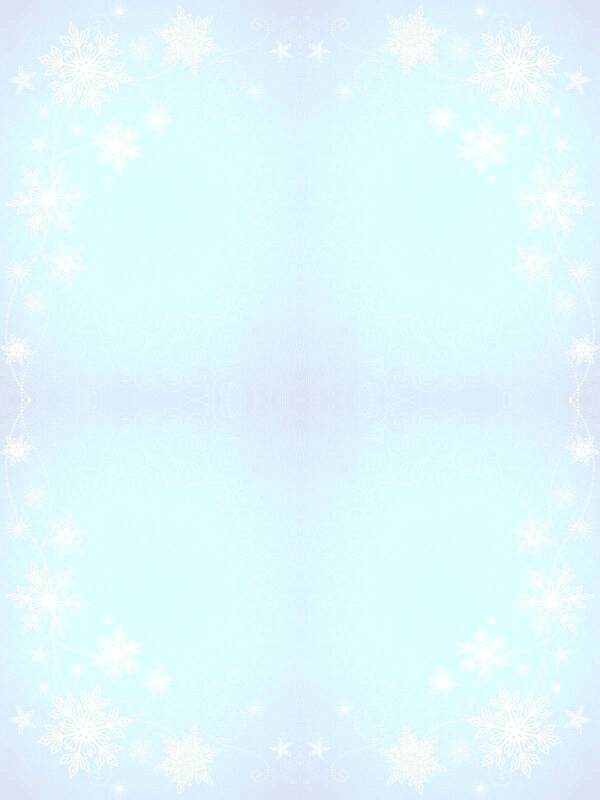 This will send a Text message to the stored telephone numbers. Sending a text to the unit to operate a relay to control other equipment. Complete with Sim Card. COMES PROGRAMMED TO USE OUT OF THE BOX This Speech Dialler requires a landline telephone connection, it has 4 trigger inputs. 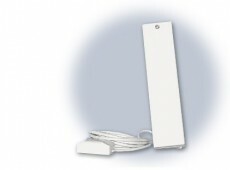 These are typically connected to security alarm panel communicator or sounder outputs but can also be connected to a variety of devices for different applications. The Speech Dialler will store up to 8 telephone contacts. 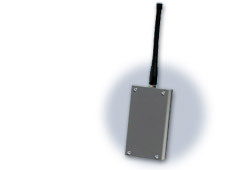 RFX-3 Receiver 433 MHz wireless receiver. An IP65 rated 3-channel receiver, 150 metres line of sight, 3x Volt free contacts as well as lighting control outputs. The FM 4000E (FM4000E) Wireless control panel suitable for use in domestic or small commercial systems. A unique factory set code with more than 1 million differs prevents cross talk between nearby systems. Non-volatile memory ensures that programmed data is never lost even in the event of power failure. Low Battery and Tamper indication by zone. Built in sounder with entry exit volume level adjustment. No unsightly wires or disruption to decor during installation. System can be added to as requirements change and can be taken with the user when moving house. Part set facility provides user protection whilst at home. Zone omit allows any combination of protection zones. Option of two separate alarm systems i.e. if the office and flat are on the same premises. Chime select. The user can set any zone to chime when an area is interrupted. 4 digit user changeable PIN number. Keypad and remote arming options. Last alarm recall. By a single button entry the user can recall the last alarm display. 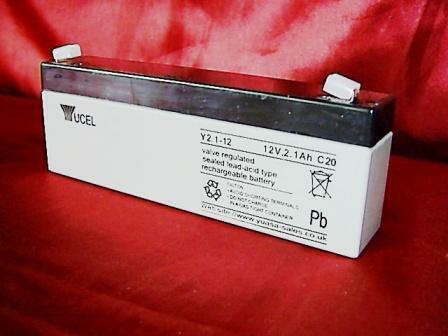 Space for 12v 2.1 Ah Sealed Lead Acid (Available Above), Dimensions 270mm wide x 155mm high x 80mm deep. The 4000X can be used on it's own with the facility to expand the system later if required. 8 Zones + Fire + Panic. Non-volatile memory ensures that programmed data is never lost even in the event of a power failure. Connections are provided for a speech dialler to call a neighbour or Digital Communicator for Central Station Signalling. Connections for conventional SAB, SCB or siren. No unsightly wires or disruption to decor. Chime select. The user can set any zone to chime when a detector is interrupted. Keypad and remote arming options. Last alarm recall. By a single button entry the user can recall the last alarm display. 2 hard wire zone inputs (one input can be zone 2 or P.A.). Space for 12v 2.1Ah Sealed Lead Acid (Available Above), Dimensions 270mm wide x 155mm high x 80mm deep. Individual indication for up to 88 wireless devices. Suitable for use in systems designed to comply with PD6662:2004 Grade 1 or 2. 64 Alarm detection devices, each one of the eight zones on the 4000X is split to provide 8 separate device identifications. 8 radio setting / unsetting devices. Time and date log of the last 500 events. Plain text descriptions of all radio devices may be entered to a maximum of 16 characters. - User can adjust the time and date, this will be recorded in the log. User can examine the log, the log will record user access. User can change the detection zone text descriptions. A flying lead is provided with the 4001, which simply plugs into the 4000X. 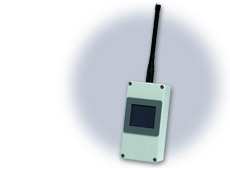 LCD display is designed to be mounted at eye level with the 4000X mounted below. 3 Digit device numbers when programming allow easy addition or removal of individual devices. LCD display is illuminated when a correct PIN is keyed in allowing the display to be read easily. Dimensions of FM4000X & FM4001 together 270mm wide x 310mm high x 80mm deep. 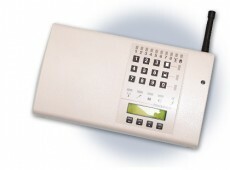 FM4000xtra - 64 zone Grade 2 alarm system to BS DD 243:2004. Suitable for use in systems designed to comply with PD6662:2004 Grade 2 specifications. This panel meets BSDD243:2004 requirements. The FM4040 is an interface suitable for use in systems designed to comply with PD6662:2004 Grade 2 or BS6799 Class 6 specifications. Suitable for use with any wired control panel. Makes your existing wired system wireless and gives you the facility to add extra detectors. Internal PIR with integral transmitter & antenna. 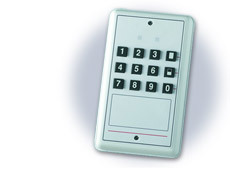 Operates into any FM4000 series control panel. Interchangeable lens, standard lens 12 Metre wide angle. Pulse count level selectable between 1,2 or 4 pulses. Walk test led easily enabled, Fully Tamper protected. Dimensions 110mm high x 62mm wide x 57mm deep. Suitable for use in systems designed to comply with PD6662:2004 Grade 1/2. FM 4105 - FM 4605 Pet Tolerant PIR. 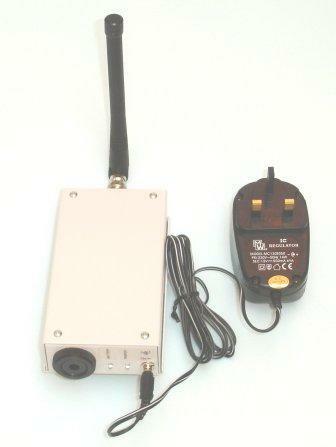 Internal Grade 1 PIR with integral transmitter & antenna. Operates into any FM4000 series control panel or interface. Triggered from built in reed switch, or use N/C contacts to link several windows together). Dimensions 40mm wide x 160mm high x 28mm deep. Can be used to terminate exit time. Battery life in excess of 12 months in normal use. Supplied with 2 AA Alkaline Batteries. This unit is made to order and we are unable to accept returns. Screw terminals provided for external closed alarm contacts, tamper loop and open push to set. Can be programmed to only unset control panel after an entry zone has been violated. Dual action Panic, Off, Part set and Full set available from keypad. Battery life 12 months typically. This unit is made to order and we care unable to accept returns. 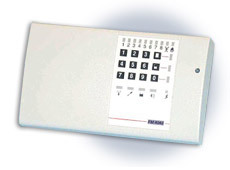 Keypad for part or full arming, disarming or activating the PA on any FM4000 series control panel, suitable for use in systems designed to comply with PD6662:2004 Grade 1/2. This external detector deploys dual beam technology to minimise false alarms. Both beams need to be activated to detect movement. Detection pattern extends up to 30 metres, and units can be located up to 500 metres from any receiver. Battery life – up to 2 years. Designed for rapid installation, simply select a solid mounting point. As you enter into the detection path, you need to pass through both beams simultaneously to cause an alarm, the lower beam may be adjusted if required to reduce the detection range. Ideal for genuine alarms, will discriminate against birds. Building sites, lead roofs, farm entrances and barns, outbuildings. The applications for this unit include just about any external area where intruder detection is required. 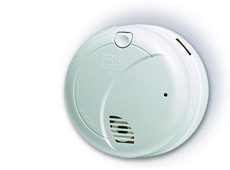 Optical smoke detector which is less prone to false alarms than the less expensive ionisation type smoke detectors. 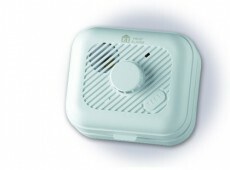 Signals an audible indication at the smoke detector and also signals the control panel. Signals when the battery needs replacing. Programmable to only unset control panel after an entry zone has been violated. Panic, Off, Part set and Full set options. Dimensions 100mm x 44mm x 20mm. Radio remote control for part or full arming and disarming the FM 4000 control panel. Fixed point heat detector which is less prone to false alarms due to dusty or high humidity environments than smoke detectors. Signals an audible indication at the heat detector and also signals the control panel. 4 wire connection to sensor, multiple sensors can be used. Dimensions of transmitter 40mm wide x 160mm high x 28mm deep. Dimensions of inertia sensor 20mm wide x 45mm high x 15mm deep. Led adjustment aid, for ease of installation. Designed for use as an inertia detector. Screw terminals provided for the inertia sensor, and tamper loop. Inertia sensor supplied with 2 metres of 4 core cable. Like the standard Watchman Sonic (Fuel level only), the Watchman Alarm (Fuel Level and Siphon Alarm) consists of a transmitter and receiver unit. The transmitter unit is fitted to the tank and measures the level of fuel inside. This information is relayed wirelessly to the receiver unit. 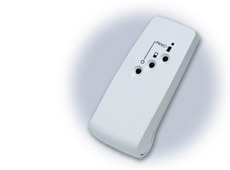 Receiver plugs into a standard 13A 3 pin domestic socket, where it is displayed via an easy to read LCD display. In the event of a sudden drop in the level of fuel stored inside the tank, an alarm is activated on the receiver unit, alerting the oil tank owner and allowing necessary action to be taken. Wide Angle External Detector 12 metre 90° weatherproof PIR. Designed for use in outbuildings or can be used for perimeter protection. Integral transmitter and a maximum operating distance of 500 metres to the control panel or repeater. Ideally suited for lighting, driveway alerts when used in conjunction with our receiver sounder (Below) to warn you of a visitor or intruder. Can be powered by 2 AA batteries or 12 Volt DC power supply as shown below. Battery life up to 2 years. External PIR's with integral 10mW transmitter. 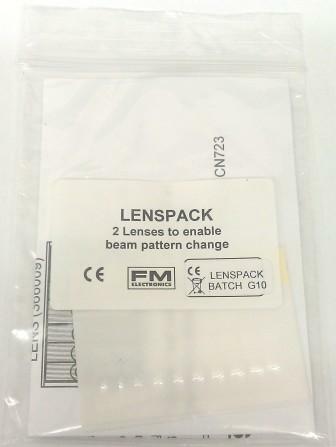 For use with the FM4000 control panel or any interfaces. Wide Angle External Detector 10 metre 90° weatherproof PIR. 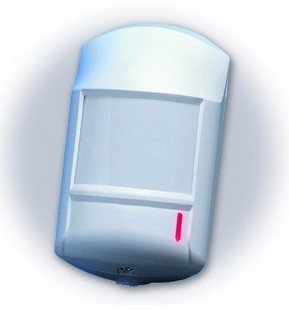 25 Metre External corridor weatherproof PIR Detector. Triggered when 9 to 15 volts dc applied, N/O or N/C contacts. Operates from integral battery or external 12dc supply. The condition of all batteries are monitored by the control panel or Alarm receiver employed. Maximum radio range 500 metres. Operates into any of the 4000 series receivers, interfaces or repeaters. The FM4156-GB is housed in a weatherproof tamper protected box, fitted with a cable entry gland and a sealed helical antenna. Connections are provided for 12Volt external power supply, normally open and normally closed alarm loops and a normally closed tamper loop. This unit can be used in conjunction with many hardwire accessories. Suitable for use in systems designed to comply with PD6662:2004 Grade 1. Triggered by vibration or movement. The FM4157-GB is housed in a weatherproof tamper protected box, fitted with a cable entry gland and a sealed helical antenna. Connections are provided for 12Volt external power supply, and a normally closed tamper loop. Suitable for use in systems designed to comply with PD6662:2004 Grade 1. This unit in PCB form come with a choice of sim cards and is very simple to setup. Only 3 wires required. Can be used as a stand alone alarm. 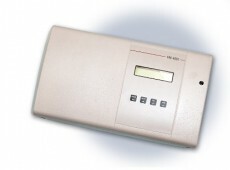 The GSM Dialler can be connected to any Gateway or drive detector or any device (intruder/fire panel, freezer monitor, CCTV equipment, etc) that is capable of applying a negative or positive signal. This will then cause the dialler to send a customised Text message to 1 or all of the 5 telephone numbers that are stored. 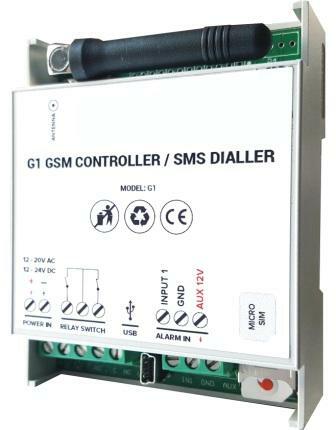 Customised Text messages can also be sent to the GSM Dialler to operate an output or the onboard relay. It can be used for both home and industrial automation purposes, for security applications or any remote data transfer project. Triggering any of the inputs will cause the sending of a SMS message to pre-programmed phone numbers or a call to landline telephone numbers. 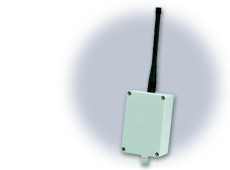 The unit can be housed in most panels or equipment providing the antenna is not enclosed. FM wire-free alarm systems are renowned for their radio range. Mains powered, the unit has battery support that provides up to 20 hours operation in battery mode. Designed to comply with PD6662:2004 Grade 2. Mains Power To 12 Volt DC Regulated power supply. 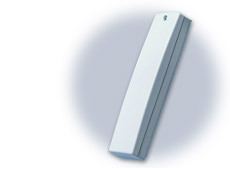 The 4055-GB is a narrow band, wireless receiver to receive alarm transmissions from the FM4000 series security alarm detectors and transmitters. The FM4000 transmission propagation characteristics within buildings out performs all other UK & European wireless security products currently available. Operating from an external 12v dc supply, the receiver has six clean contact alarm outputs, plus two additional clean contact outputs for Tamper & Low battery. The receiver is supplied with an integral helical stub antenna. 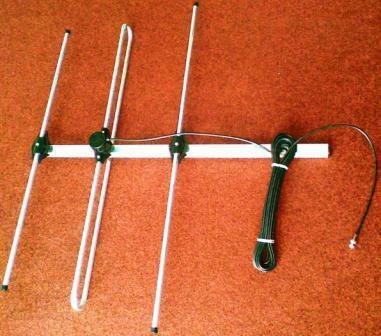 For maximum radio range use a HG1 or HG2 remote antenna mounted at rooftop height. Ideal for Driveways, Farms etc works with FM4190 or FM 4193 or FM4191 for gate alarm, farm alarm, drive way alert notification etc. The 4052 is a plug in (Normal 240v Socket) single zone interface designed to receive transmissions anywhere within the transmitters working range. In alarm an audible output sounds for 3 seconds, 2 minutes or until reset. Works with any 4000 series Class 3/Grade 1 device. More than one unit may be used with a single transmitter if required. Just plug in, learn to detector & use. Dimensions 82mm wide x 140mm high x 40mm deep. Allows for true wire free installation and operation. 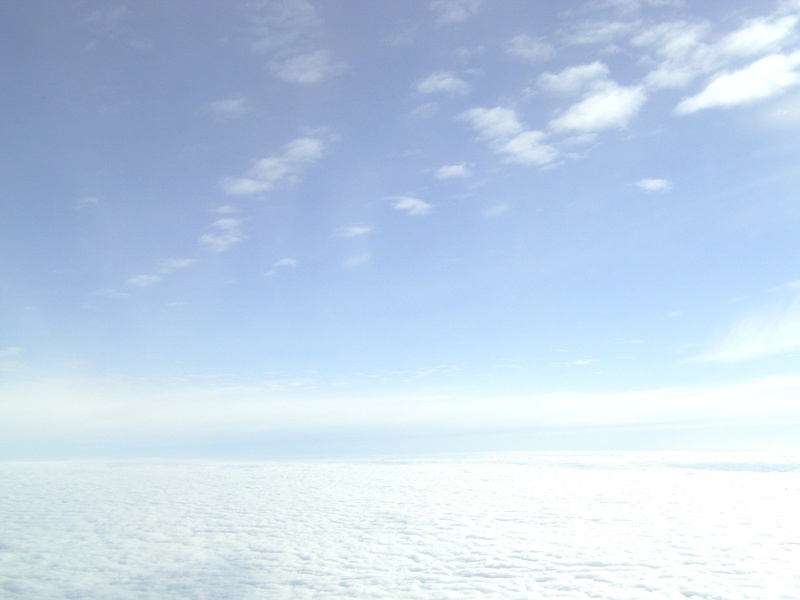 The onboard solar panel float charges the internal battery charge ready for use. Strobe saver mode and battery status indication. Individual timers 0.4 to 60 seconds after last detection. Non volatile memory. 3 x independent switching -ve outputs (24hr) rated @ 250mA - 0.4 second on detection. 1 x photocell controlled -ve switching. 90 degree fully adjustable external detector. The battery powered wireless Opal RFX external passive infrared intruder detector is designed to detect and transmit reliable event based triggers to the weatherproof RFX-3 receiver. The combined wireless system enables the simultaneous or individual control of cameras, VCRs, DVRs, security lights and virtually all low voltage switching devices. Supply 2 x AAA Alkaline 1.5 Volt (not supplied). Digital integral white light filter. Adjustments Detection signal (CCTV) timer 0.4 to 60 secs. Light level signal 2 Lux to daylight. The Texecom Speech Dialler requires a landline telephone connection, it has 4 trigger inputs, each input featuring a separate associated voice &/or text message. These are typically connected to security alarm panel communicator or sounder outputs but can also be connected to a variety of devices for different applications. The Speech Dialler will store up to 8 telephone contacts. Each contact can be assigned a name, telephone number, message type & acknowledgment type. The Speech Dialler has programmable outputs that can be remotely controlled using a touch-tone telephone. TALKBACK MODE - The talkback mode switches the internal loudspeaker to the telephone line so that you can talk to the protected site. VOICE MESSAGES - The Texecom Speech Dialler has a built-in microphone & speaker so that audio messages can be recorded & replayed directly from the unit. The Speech Dialler can store up to four separate voice messages, each message can be up to 32 seconds long. CALL ABORT - The Speech Dialler has several call-abort options, which include restoring the trigger input or by entering the operator’s pass code. When the unit is aborted it immediately shuts down & returns to its normal standby mode. CALL ACKNOWLEDGEMENT - On receiving a voice message call from the Speech Dialler the contact person answering the call can acknowledge it at any time by pressing number 8 key on their telephone.